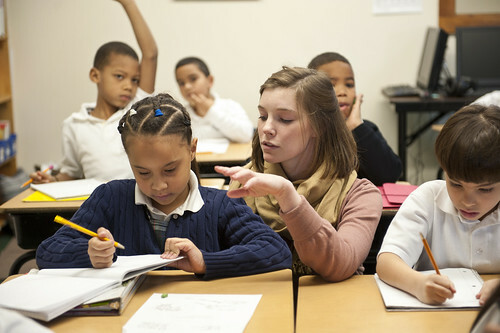 → Cultivating Relationships in a 90+% Target Language Classroom? 100% Possible! Last week, Langchatters were 100% ready to talk relationships in the 90%+ target language (TL) classroom. They started off the hour by discussing features of the best teacher-student relationships. Participants then reflected on factors that affect their decision not to use the TL when connecting with students. Langchatters also thought up ways to share information about themselves in the TL and design engaging TL tasks to connect with students more deeply. Before the end of the hour, participants even considered how to continue to build relationships with students outside of the classroom. Thank you to everyone who contributed to #langchat last Thursday, Saturday—or both! We extend a big thanks to both Thursday and Saturday’s moderating teams, which included Colleen (@CoLeeSensei), Kris (@KrisClimer), John (@CadenaSensei), Laura (@SraSpanglish), Amy (@alenord), and Sara-Elizabeth (@SECottrell)! Question 1: What characterizes the best teacher-student relationships? Question 2: What prompts you to switch out of the TL when connecting with students? Sometimes, even those who commit to maximum TL use find themselves pulled back into their L1. Langchatters reflected on factors that influence the decision to switch out of the TL. Participants cited serious behavior issues or emotionally charged situations, temporary prioritization of relationships or cultural knowledge, and out-of-class interactions as motivating factors. Question 3: How can teachers cultivate relationships with students by sharing information about themselves in the TL? Langchatters recognized that opening up to students and sharing things about yourself in the TL is a great way to connect. Some try to make this a part of the daily routine. For instance, @MlleSulewski wrote, “I always include myself during [our] ‘what’s up[? ]’ chat to make [students] more [comfortable] at first. After a while, they just ask me :).” @kltharri wrote that “anytime we can personalize a lesson with info about us or [students, it] helps.” Langchatters encouraged instructors to share personal photos with students and talk about their favorite things. Question 4: How can we design engaging classroom TL tasks that connect us to our students more deeply? Instructors brainstormed ways to design tasks in the TL that engage students and promote deeper connections. They emphasized letting students be creative and personalizing learning. Question 5: What other strategies (in and out of class) make teacher-student relationships have a lasting positive impact? Don’t think that your influence stops at the door! Langchatters encouraged fellow instructors to continue to build relationships with their students outside of the classroom. They explained that this could mean making a point to greet student, going to school events, and generally showing that you value students as individuals. Be a friendly face at campus events: Langchatters encouraged one another to attend school events to offer support outside of the classroom. @MlleSulewski recognized the importance of “[being] there [by going] to sports events, plays, concerts, [etc. ].” As @WHS_French_ wrote, “[This shows that instructors] care beyond [the] classroom #lovethewholekid .” @lovemysummer also mentioned the value of “going to [students’] ‘stuff’–games, etc.,” and added that “positive phone calls home [and] positive notes home” are another nice touch. Thank you to all those who #langchat! Instructors voiced their appreciation for this PLN; for example, @sr_la_hinson wrote, “[I] don’t know how you guys survived teaching prior to #langchat. [It] keeps me encouraged and passionate!! #grateful.” Don’t forget that you can get your #langchat fill twice a week– both Thursdays at 8 p.m. ET AND Saturday mornings at 10 a.m. ET!